Work from Sierra Leone 'Salone Nights' chosen for the festivals open submission exhibition. Windows 2003, on sunrise on the morning of 18th October 2013 from Sunrise to sunset, I photographed the view from every window of the Shell Centre in London, the resulting 1095 images are put together to offer the viewer the opportunity to experience the view as a whole. 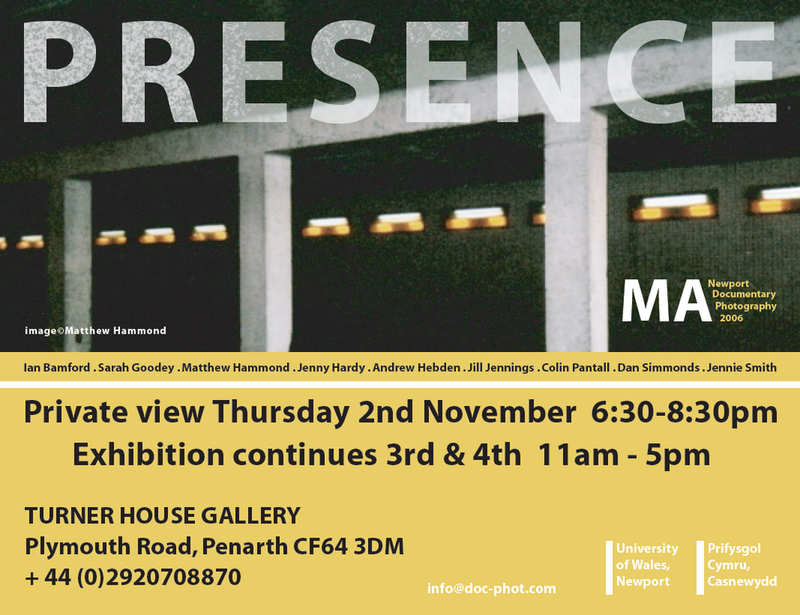 University of Wales collage Newport Ma Exhibition, I showed my final project En Passant at the Turner House Gallery, Penarth. Winner in the 11:00-12:00 Category of 24 hours in Bristol.